After much controversy1 around construction delays, worker deaths and civil unrest over the cost of the event and other issues, the 2014 FIFA World Cup will get underway in Brazil on Thursday, with a game between the host nation and Croatia at the Arena de São Paulo (AKA Corinthians Arena). 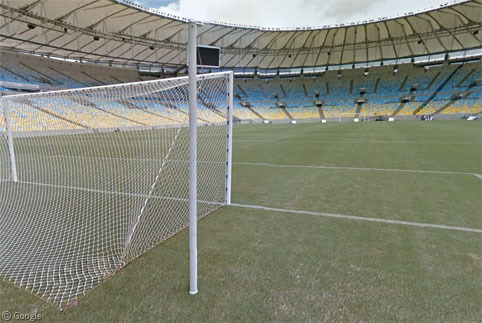 Google recently released Street View coverage of all the stadiums, allowing us to see them from pitch level. 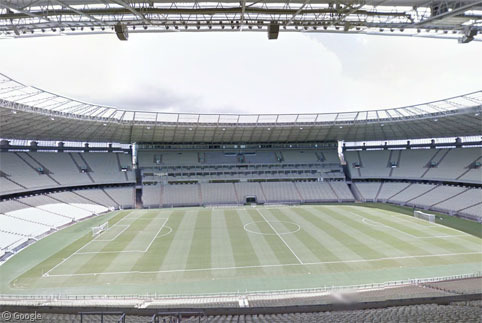 When we previewed the stadiums last September, several of them, including this one, were shown on Google’s imagery as only just under construction, and crews have been racing to complete venues in time for the competition.2 Built at a cost of more than £215 million ($360 million), the Arena de São Paulo includes almost 20,000 temporary seats which will be removed after the World Cup, leaving a permanent capacity near 50,000 for club matches. In addition to the opening match, five other games will be held here. 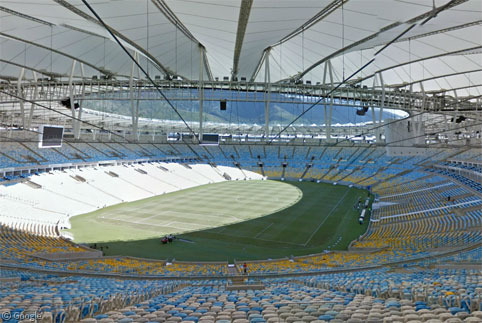 The Estádio do Maracanã in Rio de Janeiro will host seven games including the final on July 13th. 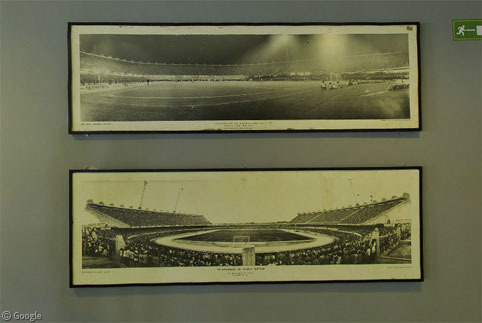 It is the only stadium being reused from Brazil’s first time hosting the event, in 1950. Although a couple of hundred thousand fans crammed the building for the final that year (when the hosts surprisingly lost to Uruguay), the capacity now is a mere 78,000. 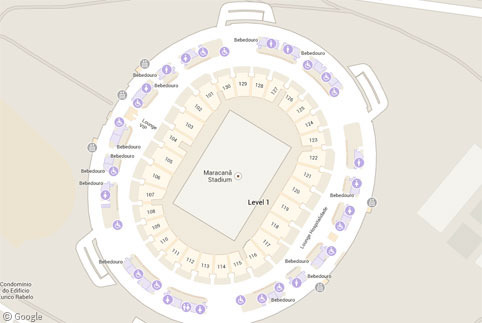 To make life easier for spectators, Google has updated its map view of this stadium – and several others – with section numbers as well as the locations of toilets and elevators. 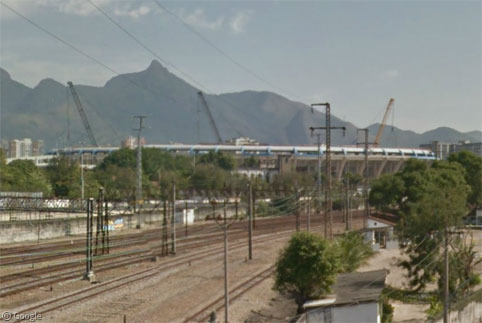 Although it is the largest stadium in the country – and in fact the continent – the Brazilian team isn’t scheduled to play here unless they reach the final. If that happens, of course the atmosphere would be electric, though with tickets ranging from £45 to £590 ($75 to $990) they may be out of the reach of many local fans. In addition to the ground-level imagery there’s also coverage of the upper levels of seats in some areas, which gives a great view of the whole stadium. Ten other stadiums are being used for the tournament, with 64 games being played in total, amongst the 32 teams. Some venues are brand new, others have been renovated to meet FIFA’s demanding standards. Here’s a round up, beginning with two stadiums that were barely started when we did our preview last year. Arena Pantanal in Cuiabá will hold close to 43,000 spectators. The first game here is on Friday, between Chile and Australia. Arena da Amazônia in Manaus has a capacity around 46,000. Its first game is Saturday, with England facing Italy, which could be an interesting encounter; before the game was scheduled, the England manager criticised the city being used for games because of its extreme heat, with the mayor responding that such criticism would mean a less than friendly welcome. 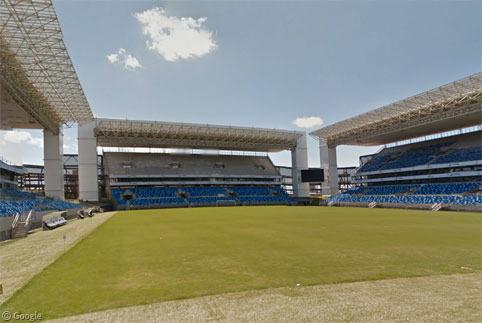 Another new stadium – with a capacity around 73,000 – is found in the capital Brasília. The Estádio Nacional Mané Garrincha is named for the famous player who was on the national team for their World Cup victories in 1958 and 1962. 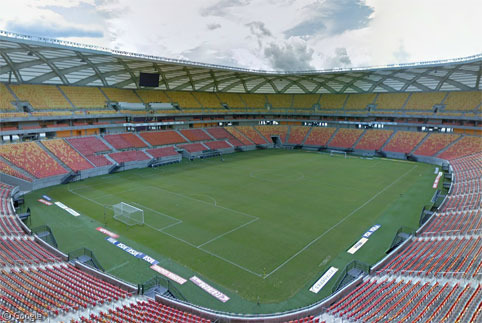 The opening game is Switzerland v. Ecuador on Sunday, and the host nation will face Cameroon here on June 23rd. 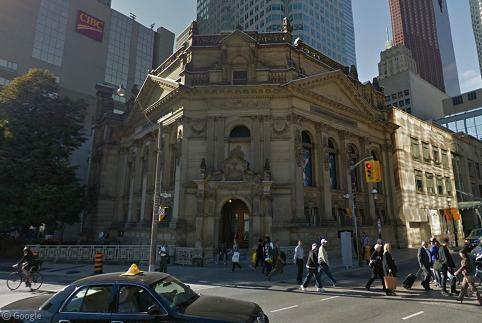 The 3rd/4th place game will take place here the day before the final. 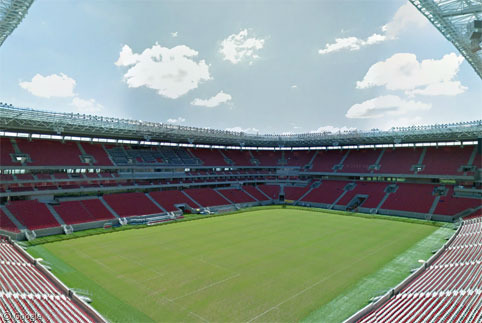 In contrast, the smallest stadium being used for the tournament is the Arena da Baixada in Curitiba, which holds just 40,000, though as of a month ago more than half the seats were still to be installed. Iran face Nigeria in the first game here on Monday. 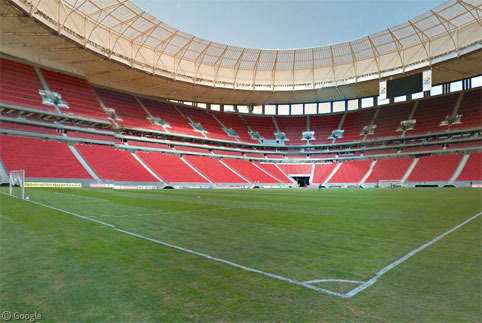 Team USA plays its opening game next Monday at the Arena das Dunas in Natal (although before that Mexico faces Cameroon here on Friday). 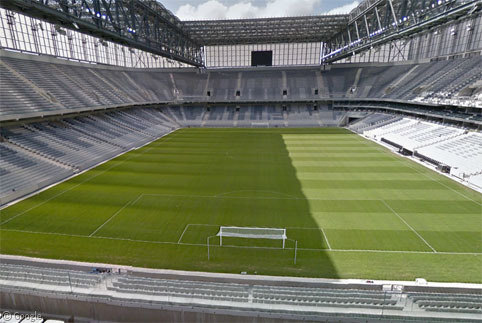 42,000 spectators will be in what the architect modestly calls “the most perfect stadium in South America”. 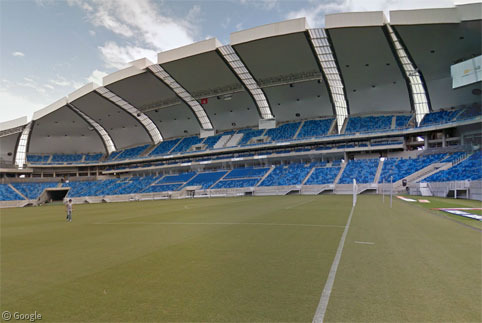 Six matches will be held at the Castelão in Ceará, beginning with Uruguay v. Costa Rica on Saturday. 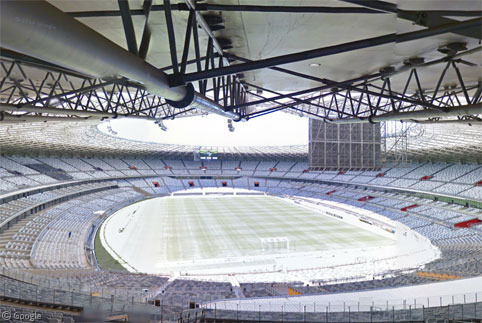 Photosphere creator Fabio Arruda has created several images of the stadium, including one of a concourse area with historic photos of the stadium before it was renovated. 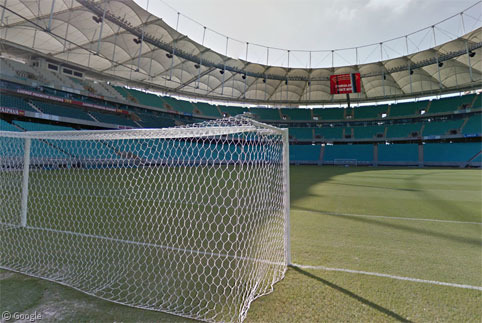 European giants Spain and the Netherlands will play the first of six games at Itaipava Arena Fonte Nova in Salvador on Friday. This new 55,000 capacity venue suffered a setback when part of its roof collapsed in heavy rain a year ago. The last new stadium on our list, Itaipava Arena Pernambuco in Recife, holds 46,000 and will host five games, including Ivory Coast v. Japan on Saturday. 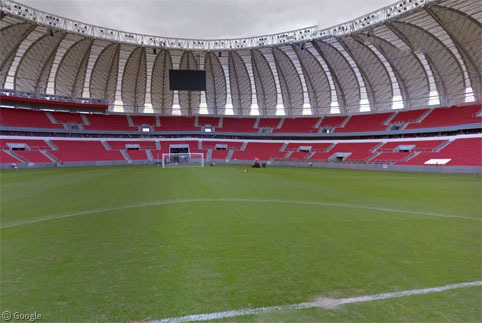 Another renovated venue is the 51,000 capacity Estádio Beira-Rio in Porto Alegre which will see five games, beginning with France taking on Honduras on Sunday. Photosphere by Telmo Cervi Jr. Finally, the Mineirão in Belo Horizonte has also been renovated, has a capacity of 62,000, and will host six games, the first of which will see Colombia facing Greece on Saturday. For more information about the 2014 World Cup you can visit the official site, or the wealth of information on Wikipedia. Three days away, that pitch in Manaus looks pretty pitiful.